Projects will be implemented within the 12 focused National Key Economic Areas (NKEA) and also implement 51 Strategic Reform Initiatives (SRI) to ensure competitiveness will flourish. As all of us know, Employees Provident Funds (EPF) is meant for our retirement savings which helps us go through our golden years. However, statistic shows that most of the contributors opted for full withdrawals at age 55 and finished it all within a period of 10 years. In addressing this issue and encouraging contributors to keep their savings longer, EPF has launched a campaign to promote awareness on their "Flexible Age 55 Withdrawal Scheme". How flexible is it? If you're one of the to-be-retiree, then this post more than relevant to you. Read on and share this with other contributors if you think that this might be useful for them. How does "EPF Flexible Age 55 Withdrawal Scheme" works? 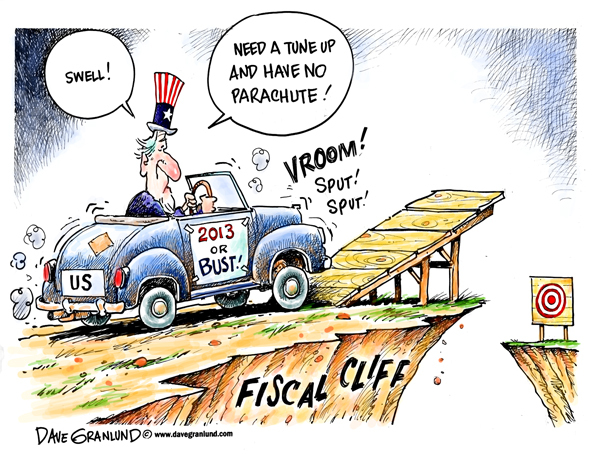 What is US "Fiscal Cliff" actually? When everyone thought that US and the world will be better if Obama won his presidential re-election again, world equities markets today declines with US being the most serious market by dropping more than 2%. What's the reason? 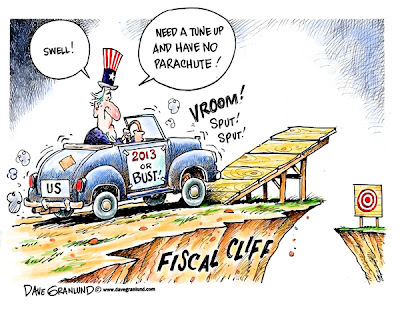 Answer: Fiscal Cliff ? Hmmm... Then, what is fiscal cliff actually which many of us on the street do not even heard about this new term before. 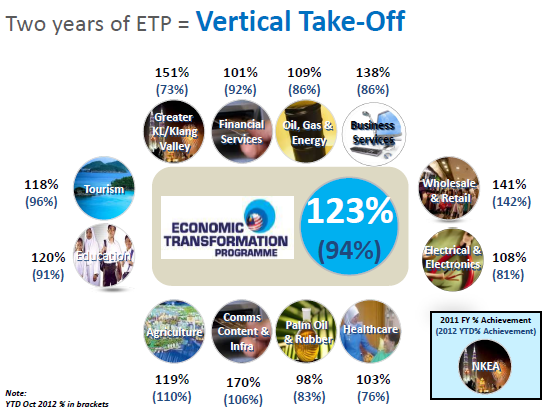 No worry, Finance Malaysia blog did his homework over here. Share this out if you like.